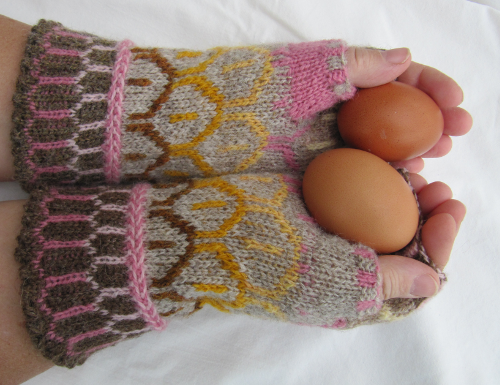 Designed to match the Feather Cap Beanie, and the Fingerless Feather Mittens released a few weeks ago, these full mittens reflect the patterns and colours of my little flock of beautiful Cream Legbar hens (and one cockerel). 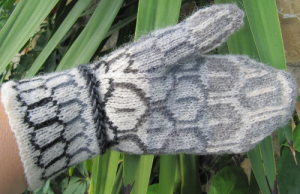 Full Feather Mitts are stranded knit mittens, using ten colours of Jamieson’s of Shetland wonderful pure wool Spindrift yarn. 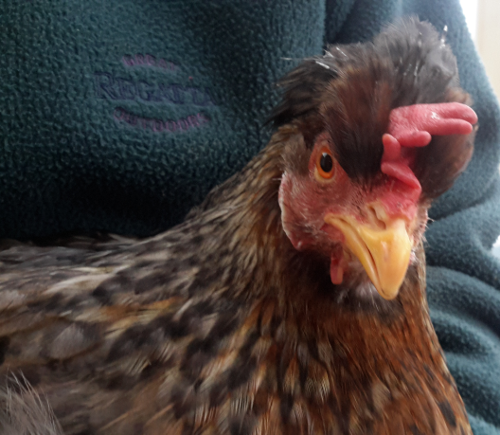 The motif itself and the colours I have chosen reflect the feather patterns and colours of my lovely Cream Legbar chickens: Freddie, Sorrel, Sage, and Lavender. 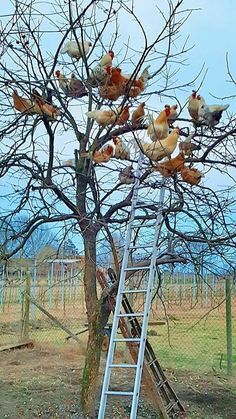 From a distance they look a like a dull brown, but close up, their feathers are a beautiful brown/grey, with touches of cream and pink. 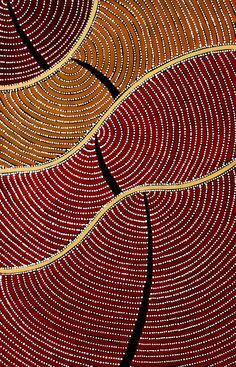 The four background colours and six foreground colours reflect this lovely effect. There are, of course, several ways to knit a mitten, and I have tried most of them. 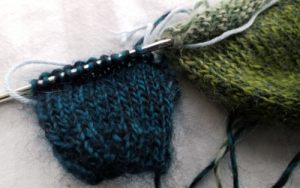 My favourite technique, at the moment, is to knit the thumb first, place it on waste yarn, and then begin the mitten at the fingertip end, knitting down the hand until you reach the point when you incorporate the thumb. 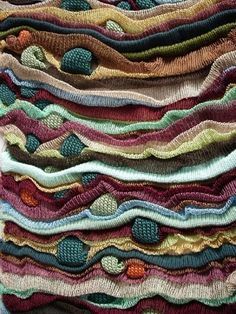 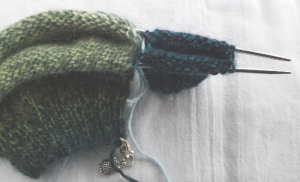 You can try the mitten on at every stage, to get the most comfortable width for you and the best length before you add in the thumb. 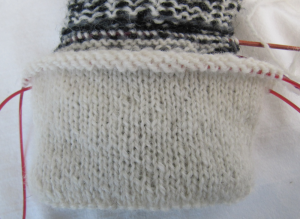 It also has the advantage that the technique for casting on for full mittens is identical to that for toe-up socks, so if you are a sock knitter, the method is entirely familiar. 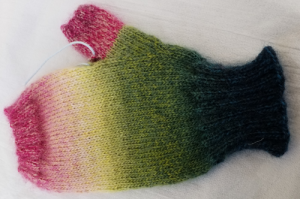 This technique is used in several of my mitten patterns: Fingerless Feather Mittens, Full Feather Mittens, and my free pattern for sock yarn mittens; this photo tutorial is an aid to those patterns. 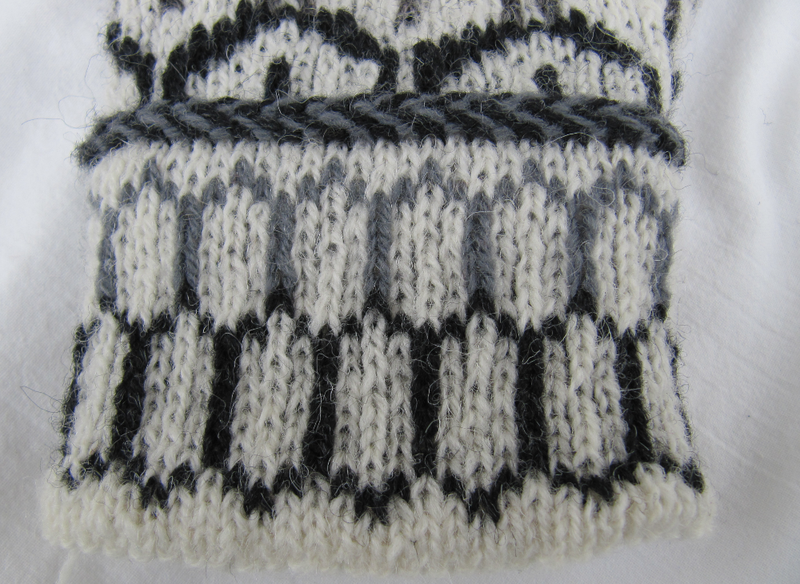 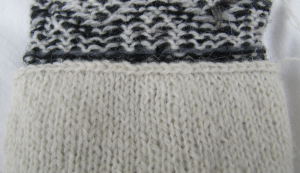 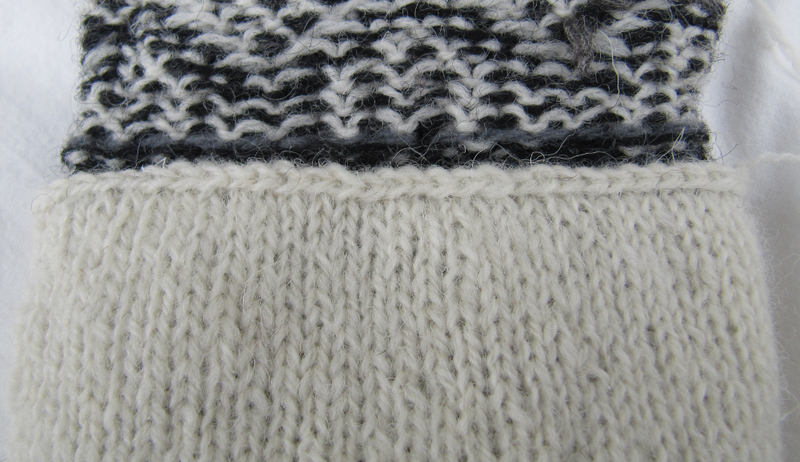 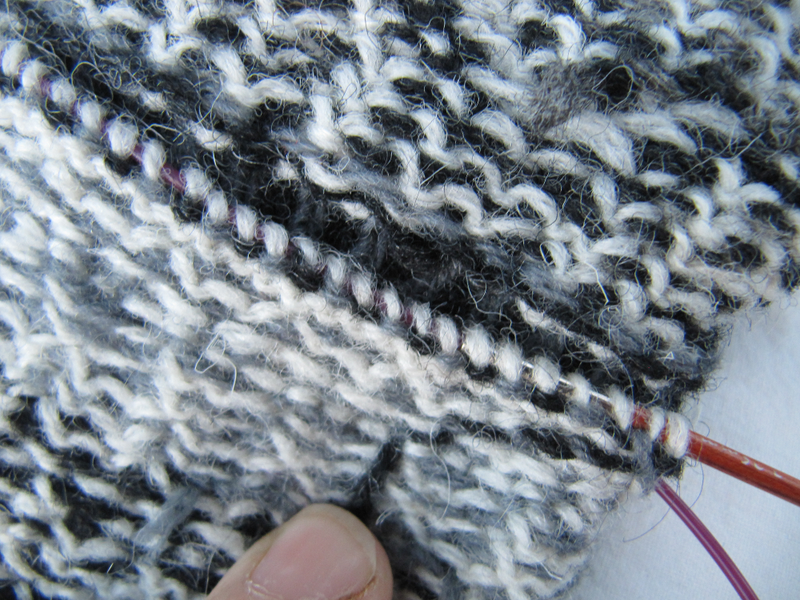 The thumb is incorporated into the mitten and a gusset is then knit to taper the mitten. 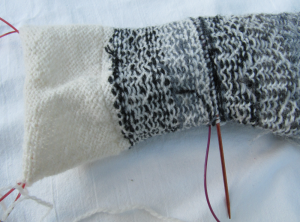 First, knit your thumb, according to the pattern you are using. 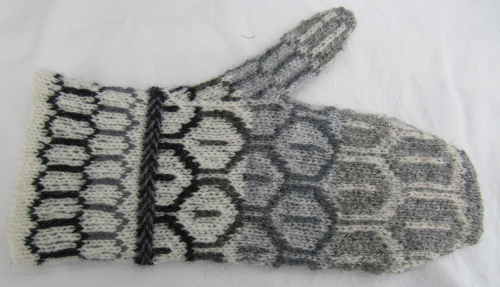 This can be a half-thumb (for fingerless mittens) or a full thumb. 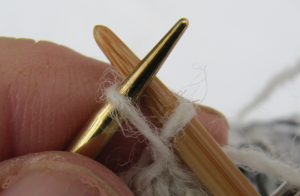 Thread the first 2 stitches and the last 2 stitches of the round onto a small piece of waste yarn, and thread the remaining stitches of the thumb onto a longer piece of waste yarn. Work the first part of the mitten, from fingertip/fingerless mitt ribbing, to the point where the thumb joins the palm. The mittens are identical for the purposes of attaching the thumbs. 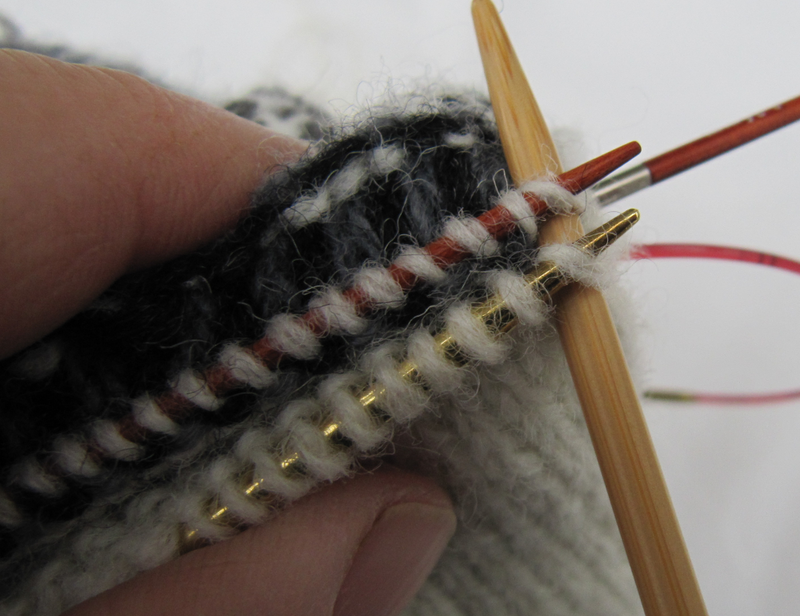 Ensure you have worked the mitten to 2 stitches before the end of the round where you will attach the thumb. 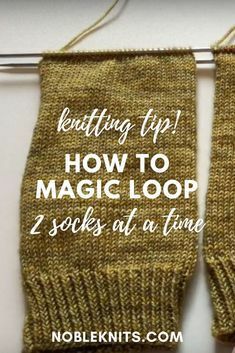 Using a piece of waste yarn, thread the two stitches from the beginning of the mitten round and the 2 unworked stitches from the end of the round onto the waste yarn, as you did for the thumbs. Take one of the pre-prepared thumbs and remove the longer piece of waste yarn as you place half the remaining thumb stitches onto one of the mitten needles and the other half onto the other needle; the 4 stitches still on the waste yarn should be sitting adjacent to the mitten stitches also on waste yarn. Round 1: Knit around the mitten and thumb once, the start of round now being the last mitten stitch of the round, adjacent to the first thumb stitch. 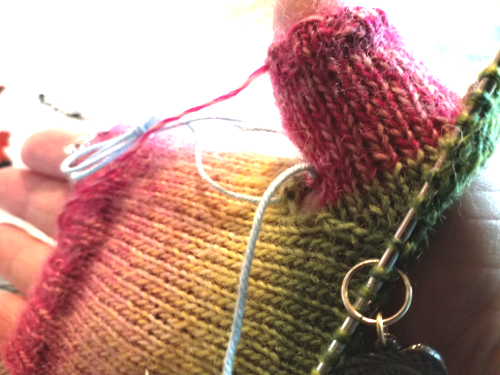 Repeat rounds 2 and 3 until all thumb stitches have been decreased. 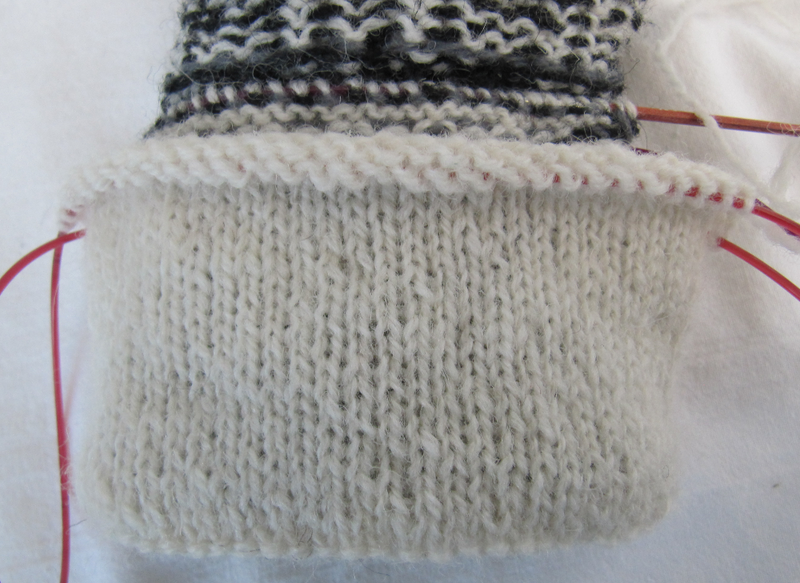 Knit straight until mitten reaches your wrist bone, then add the cuff of your choice. Once the gusseted thumb has been incorporated into the mitten, you can close the gap by grafting/Kitchener stitching the 4 stitches of the mitten with the 4 stitches of the thumb. 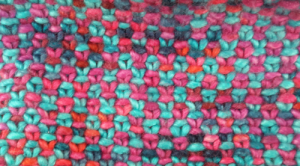 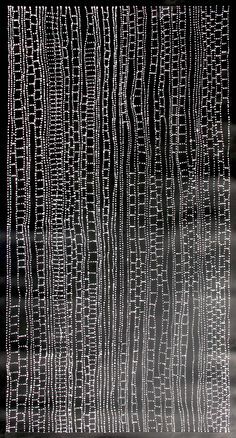 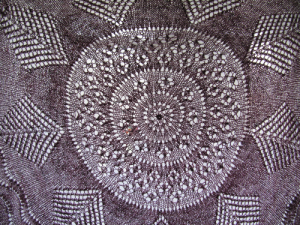 See YouTube video https://www.youtube.com/watch?v=pJFRI-_EQeA for a great tutorial on Kitchener Stitch. In November 2016, I had a stall at my very first craft fair, the Holmbridge Rural Christmas Fair, organised by my lovely friend Carole. 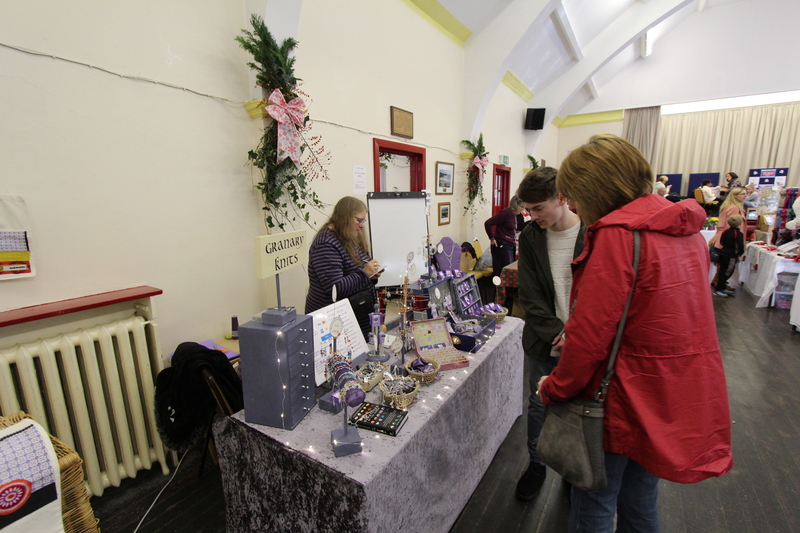 It was fantastically well attended, and rightly so because the stalls had been carefully selected to complement each other rather than overlapping, the hall was beautifully decorated, and the organisation top notch. 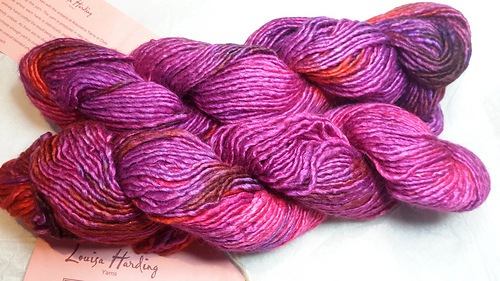 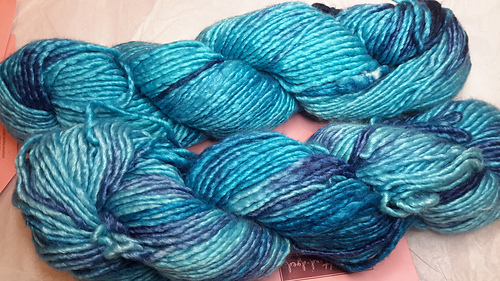 I hadn’t known what to expect, so I filled my 2ftx6ft table with lovely things, got out my knitting, and prepared to sit and knit while the throng of people looked and smiled and passed by. 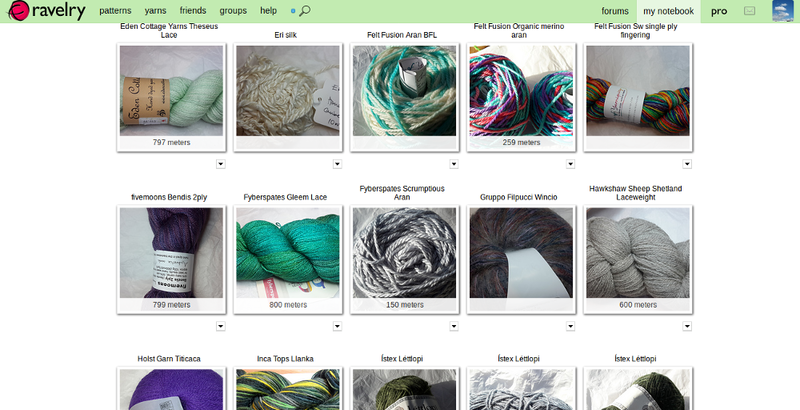 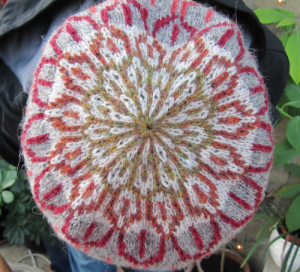 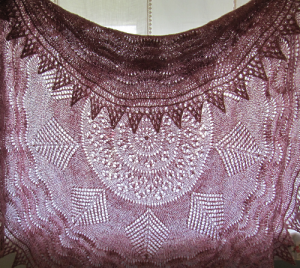 I didn’t get to knit one stitch, and I barely sat down for the entire six hours! 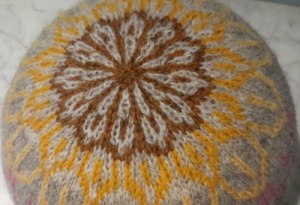 It was a fabulous day, and I was completely bowled over by the enthusiasm of the crowds that attended, but completely exhausted at the end. 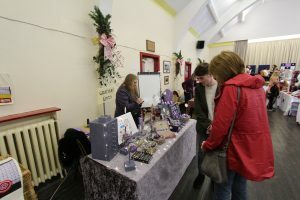 I learned a lot that day, about not loading the table too much, keeping an eye on the stall, and chatting to people, even if they are not interested in buying from you. 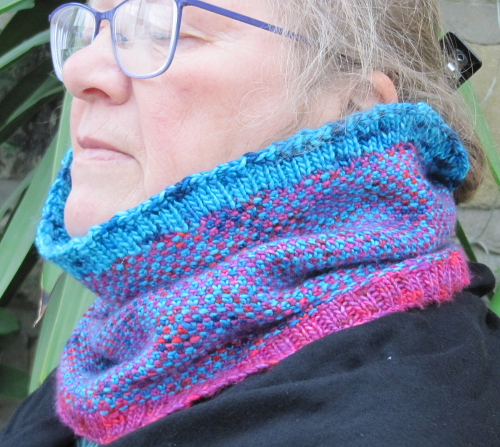 I also learned that I needed help to mind the stall, as I had underestimated how many people would all want to buy at once! 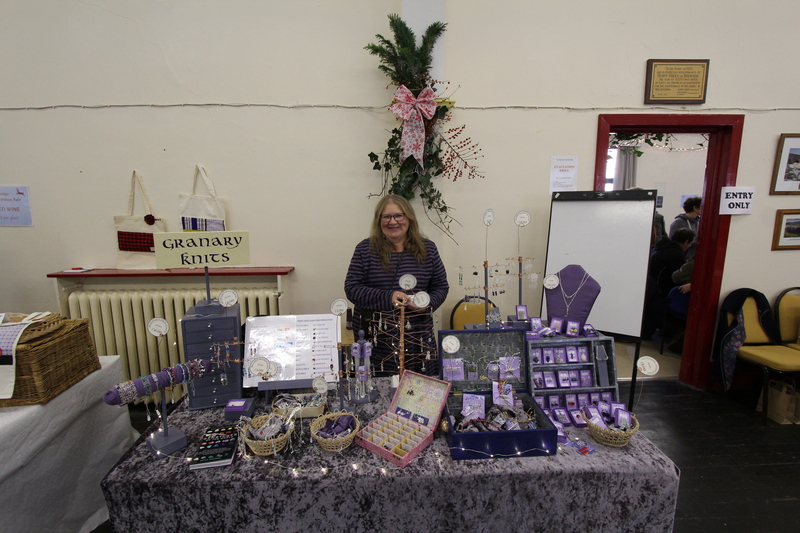 This year, the fair is on Saturday 18th November, and I shall be there again, with new ideas for display, new ideas for jewellery, and, hopefully, my husband sitting with me to provide moral support, a second pair of eyes, and help when I need a break. 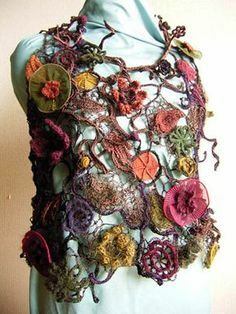 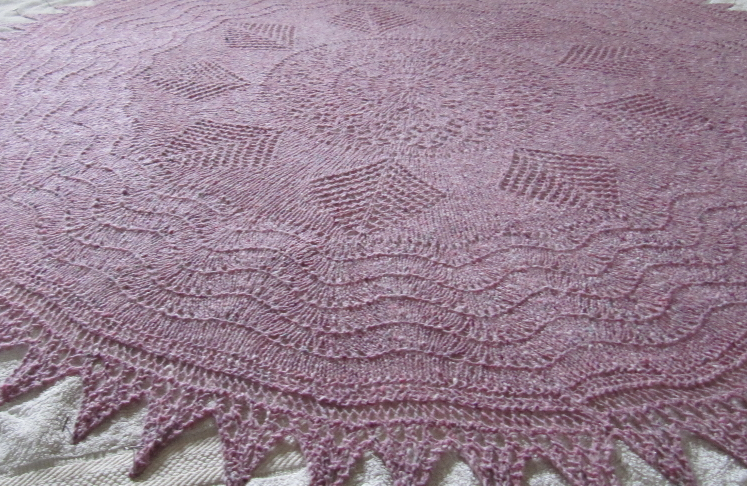 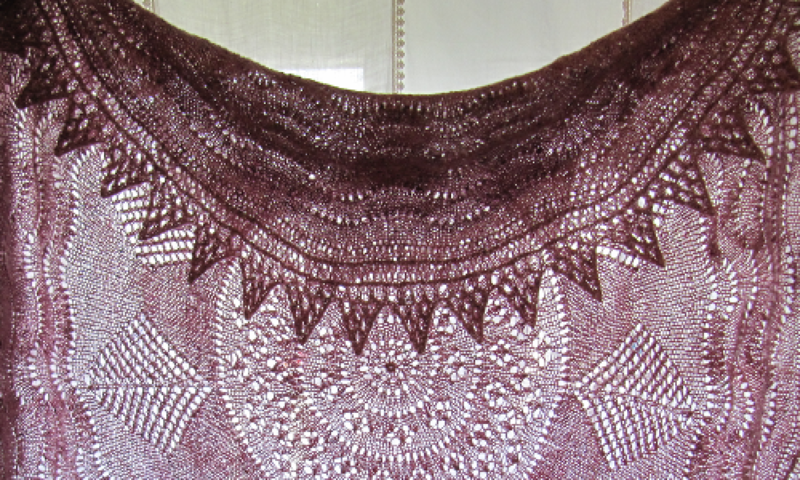 I shall also be taking along some copies of the Raspberry Pi Shawl pattern for sale to people who may not be on Ravelry. 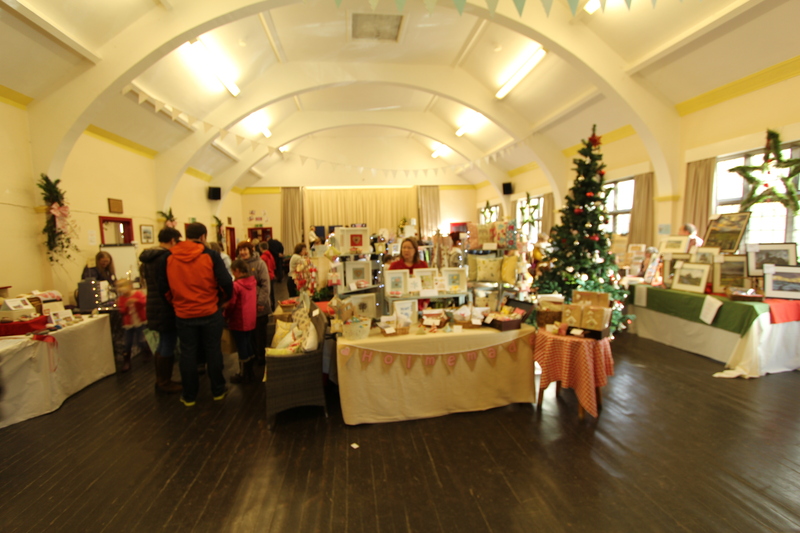 I hope, if you are in the area on 18th November, you will have time to call in and see some of the wonderful things on offer at the fair. 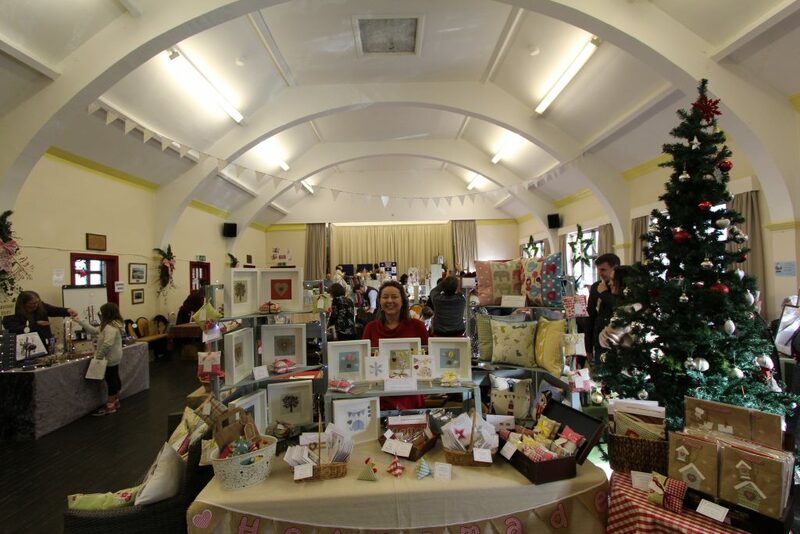 Even if you don’t buy anything, there is a great cafe attached to the hall, with lovely homemade cakes!